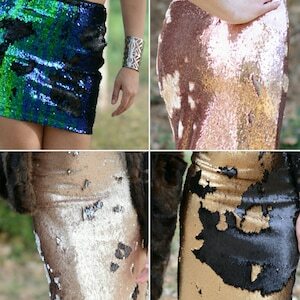 With gorgeous sequins and a quality fit, this skirt is comfortable and fun to wear! A really beautiful, bright gold. Ships asap. Length is 16 inches. Runs snug.